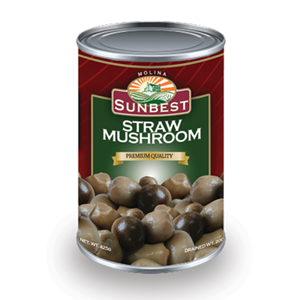 Straw Mushroom | Molina & Sons (PHILS.) Inc. Straw mushroom come from the rice straw in which they are grown. They are also called "paddy straw mushroom",cultivated in hot, steamy climate of Southeast Asia. Fresh straw mushroom look like tan quaik egg. It contain protein, fat, iron, zinc, various amino acids and large amount of vitamin C.